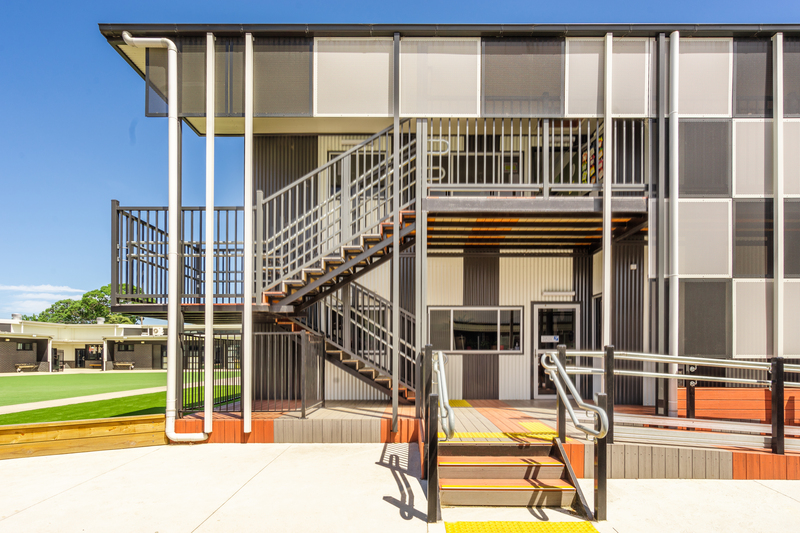 We are the Program Coordinators for the Victorian Department of Education and Training’s Relocatable Accommodation Service (RAS) Program. The program comprises a fleet of approximately 5,500 relocatable buildings. These buildings are constructed in modules, transportable by road, that can be moved on site readily or, if required, lifted in and out of sites by crane. The program requires extensive and robust management at both the program and portfolio levels. Sensum provides professional, prompt, responsive, and flexible services including analysis and liaison, agreement management and administration, inspections and reports, and ad hoc services for the Department. Our role requires strong knowledge of Department policies, systems, and processes. We work collaboratively with the Department to deliver quality outcomes. The Department’s fleet includes buildings of varying size, age and condition. 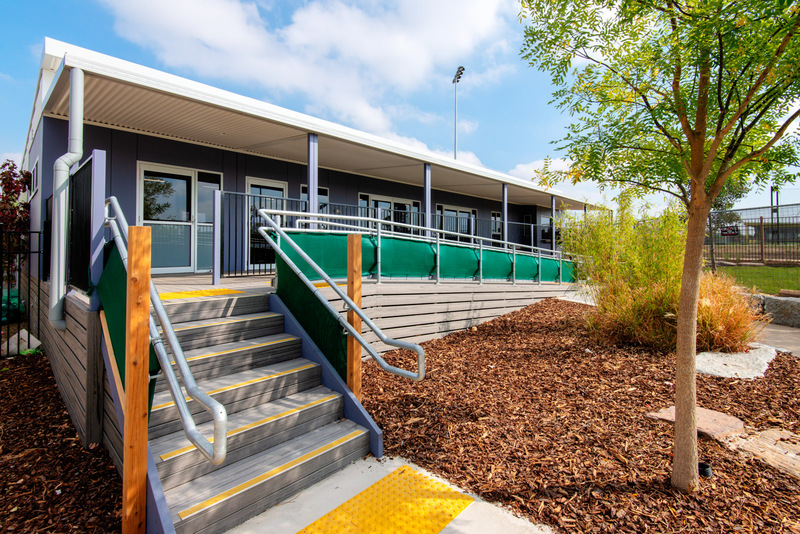 We transfer relocatable buildings each year in response to school population fluctuations and related changes to area entitlements, as well as providing temporary accommodation during school capital projects or where school facilities have been damaged by fire or storms. 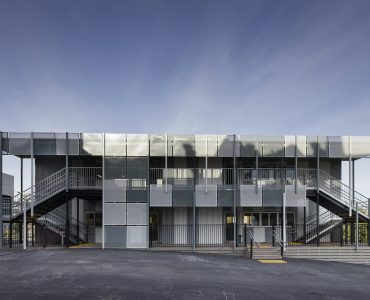 Each building comprises a number of modules. The current dual classroom design comprises five modules. 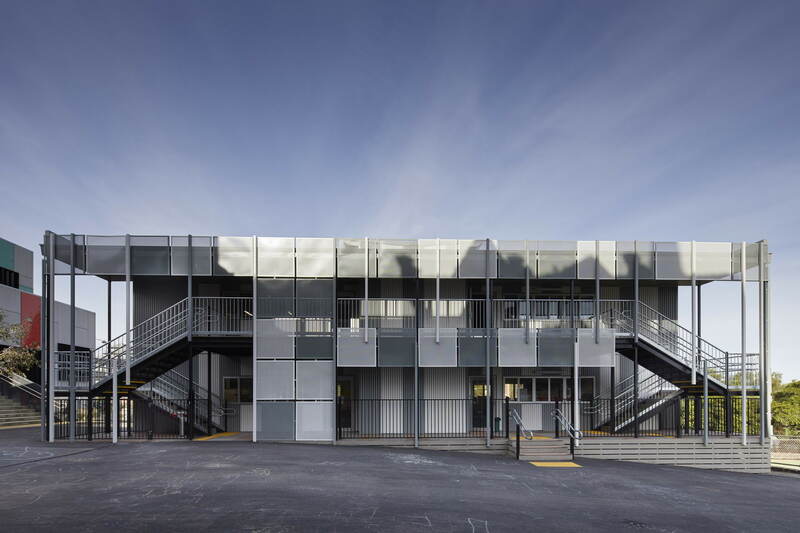 The modules are bolted together and can form a diverse range of buildings of varying sizes and configurations. Individual modules of the most recent design are 3.6 metres wide by 9.6 metres long. 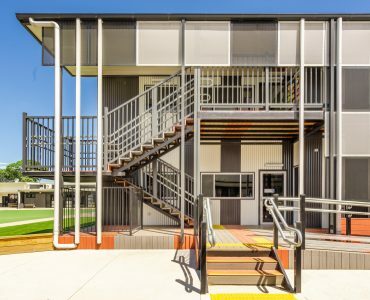 Relocatable buildings are a cost-effective and flexible means of providing classrooms and other ancillary spaces in schools. 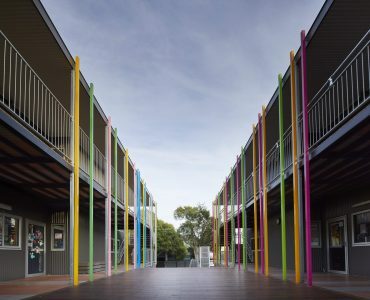 They are most commonly used as general teaching spaces to supplement permanent school facilities. 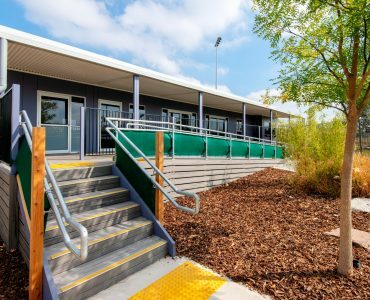 Some buildings provide specialist rooms such as music or science facilities, toilet blocks, or other special purpose spaces. The number of transfers delivered under the RAS program has experienced significant and steady growth in recent times. The increase in demand has stemmed from a combination of population growth, high density suburban developments, and emerging regional growth corridors. The program will deliver more than 300 projects for enrolment growth in 2017/2018 and plays a key part in solving evolving infrastructure demands. Major refurbishment & transfer for enrolment growth. 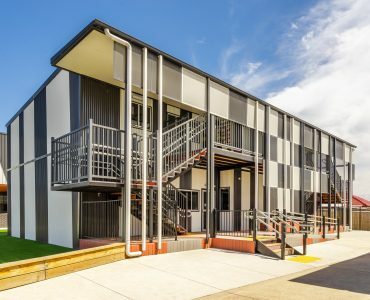 5 module general purpose classrooms. 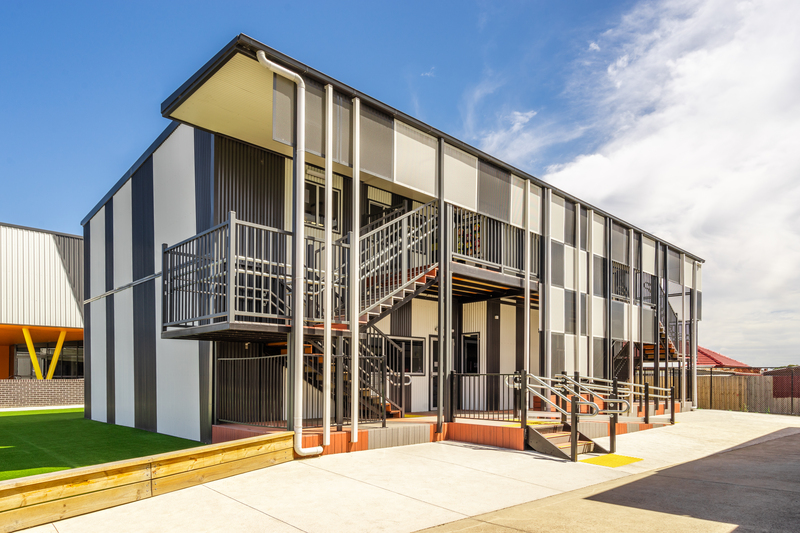 Between 2015 and 2017, we also assisted the Victorian Government to safely remove asbestos-containing materials from 780 old asbestos-containing relocatable classrooms. 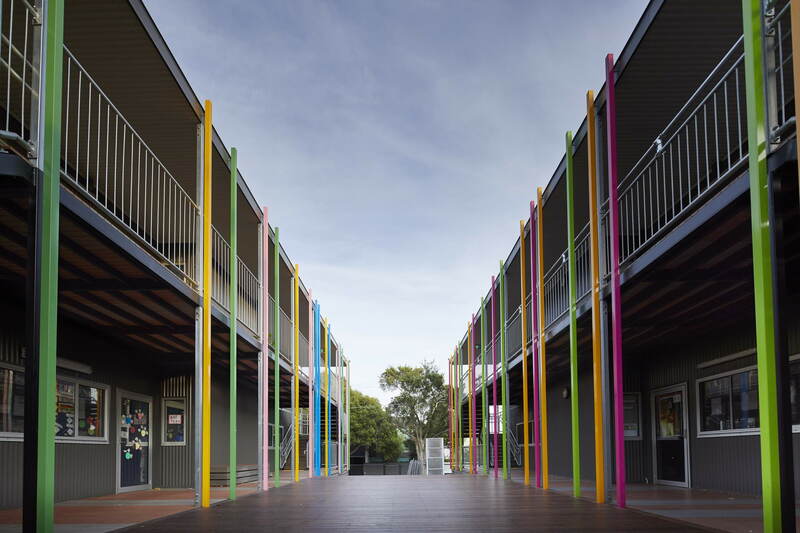 This work was completed as part of the Victorian School Asbestos Removal Program.